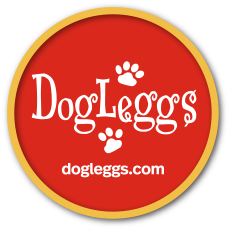 DogLeggs' BuddyBags offer an economical method of thermal and cryotherapy. They are a safe and effective method to provide heat with no risk of burns associated with electrical and water heating pads. They can be used to restore heat to the surgical or critical patient and to warm muscles and joints for rehabilitation therapy purposes. BuddyBags can be used for cryotherapy to reduce swelling and discomfort. BuddyBags are comprised of two bags. The inner bag is to be filled with plain white rice (not included). The outer cover is made of a soft fleece material. The rice conforms to the area of the body covered and provides long-last heat or cold therapy. For heat therapy, place the rice filled inner bag in the microwave for a few seconds. For cold therapy, place the rice filled inner bag in the freezer.